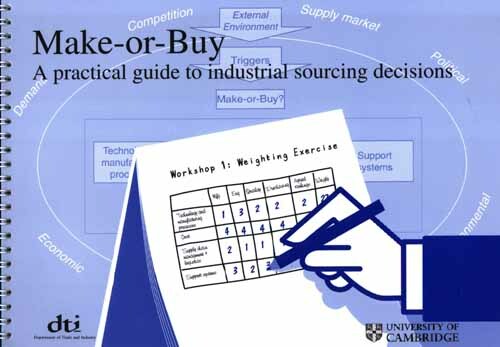 Make-or-buy – the choice between making in-house or buying in from an external supplier – is a key decision area within manufacturing strategy and has an impact on many aspects of a business. Make-or-buy decisions are often made reactively and purely on the basis of cost. This reactive ‘mode’ does not allow people to review other relevant factors. Decision making based purely on the basis of cost can be risky. By using a structured process to review all relevant factors, in an objective manner, the likelihood of making expensive mistakes is reduced.